Mynewsgh.com has learnt Ebony was so passionate about cervical cancer that she had created a yet-to-be launched foundation, The Ebony Cervical Cancer Foundation, to bring awareness, prevention and cure to her teeming, youthful support base until she met her untimely death. 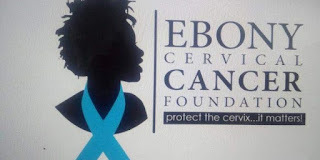 Ebony, we learnt, had planned to use her influence on young girls to create awareness on Cervical Cancer and to encourage her supportive base to “Protect their cervix” because “It Matters”, and to know and take the testing and treatment of the deadly cancer more seriously. She had created a foundation for it with a team in place to roll it out after March, we learnt. Cervical cancer is highly preventable but only with regular screening tests and appropriate follow-up care, which makes such a foundation timely and appropriate. It also can be cured when found early and treated. Cervical cancer is almost always caused by the human papillomavirus (HPV). Vaccines are available to protect against the types of HPV that most often cause cervical cancer. In Ghana, it is estimated that each year, at least 3000 women are diagnosed with cervical cancer and at least 2000 women die from cervical cancer with the number on the increase as these figure are referenced to 2015. With Ebony’s death, it remains to be seen what will become of a foundation that would have served a very important need in the lives of the many young women cheerfully singing away and inspired by Ebony’s bangers ‘Kupe’, ‘Date Your Father’, ‘Call it Poison’, ‘Sponsor’, and Maame Hwe among others.